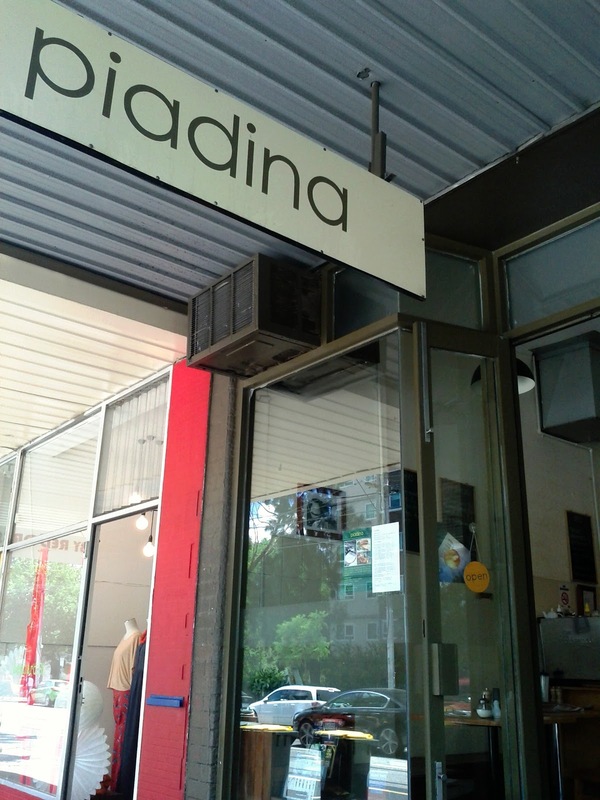 When we visited Piadina Slowfood in the city Brendan and I both went for slow food options, this time there was only one choice in the name of this cafe on Gertrude Street in Fitzroy. Inside there were a quite few table occupied on a Wednesday lunchtime. We ordered at the counter, and found a table outside. 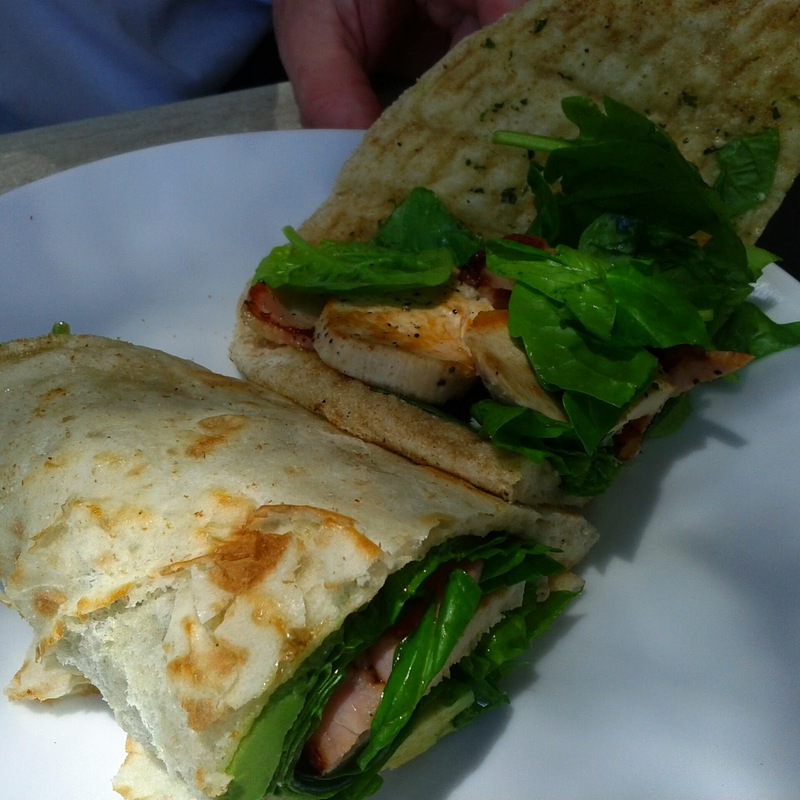 Brendan had the chicken piadina, which also contained bacon and spinach. 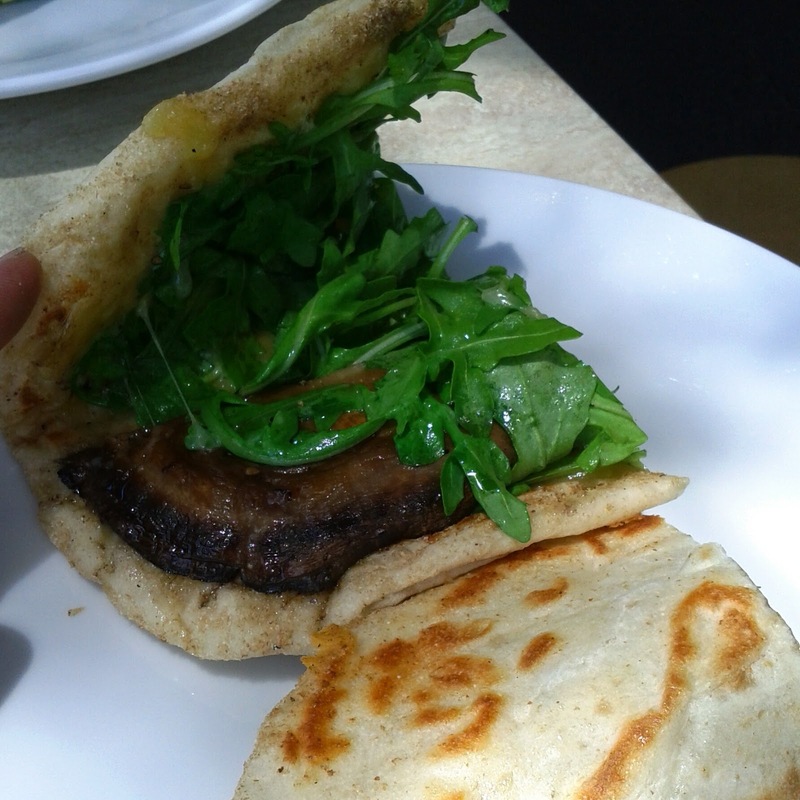 My mushroom piadina was also filled with cheese and rocket. The flat bread was nicely prepared and the only complaint was that the three halves of mushroom was a little on the light side. I think the chicken option was better value at $9.90 compared to for $9.50 the lightly filled mushroom option. The service was a little haphazard and it seemed to take a while to bring out our food. 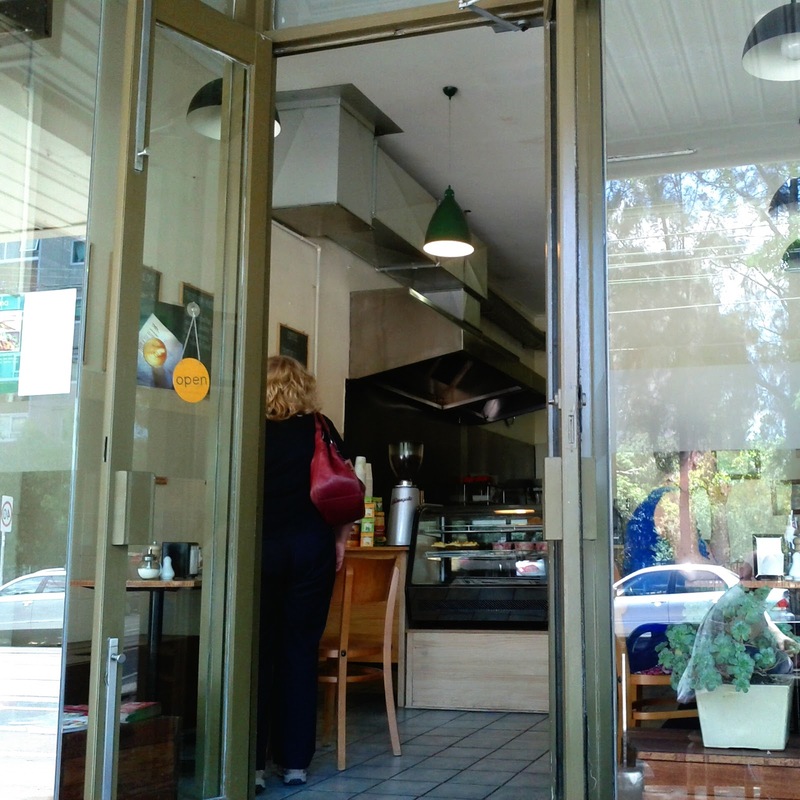 Overall my first try of a piadina was good, if I left not entirely sated.